Nipsey Hussle has been making moves that speak to his long-term goals in the music industry and many are taking note. After putting in over a decade's worth of unrelenting hustle, the Los Angeles native recently inked a multi-million joint venture deal with Atlantic Records, a strategic partnership that will help elevate his career to the next level, all without completely abandoning his roots and authenticity as an independent artist. With new opportunities abound, Nipsey is not only carrying the lessons he's learned throughout his career with him, he's sharing such invaluable gems with others. Most recently, the 32-year-old was the subject of a new mini-documentary, 10 Rings, during which tells his story maneuvering the rap game and provides an exclusive insight into the business moves it took for him to arrive where he is currently poised today. "As we enter into this exciting new chapter in my life and career, this documentary will bring my fans, old and new, along with me on this journey," Nipsey said in a statement, discussing the project. "I hope my story inspires everyone out there to keep hustling and chasing their dreams." The documentary, which originally made its debut as a TIDAL exclusive but is now available to a public audience, was created in partnership with Director Kid Art and Chariot Pictures, with the project also tapping executive producer Cartier Brown and associate producers Rocko Rathon and Frank Polonia. 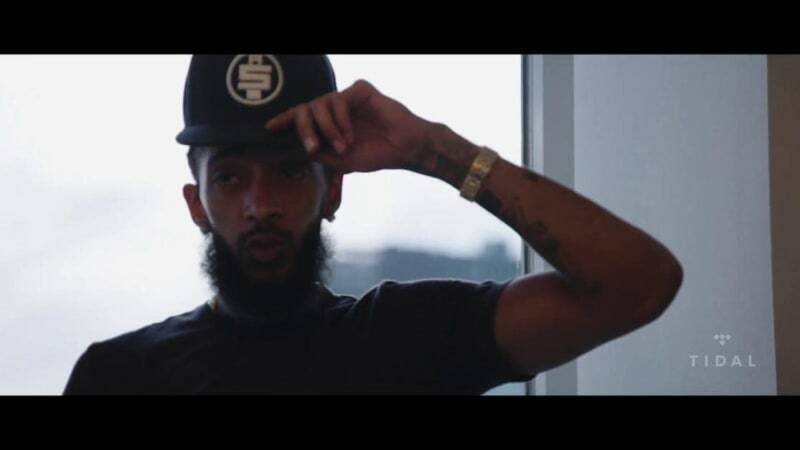 The mini-doc also doubles as the pilot for a new series highlighting the accomplishments of hip-hop's top creatives and sharpest business minds, making Nipsey a fitting candidate to be the inaugural spotlighted artist. In related news, on Friday (Jan. 19), Nipsey Hussle shared the visual for his YG-assisted "Last Time That I Checc'd," off his upcoming album, Victory Lap, which is currently slated for a Feb. 16 release. Watch the first episode of 10 Rings with Nipsey Hussle, below.